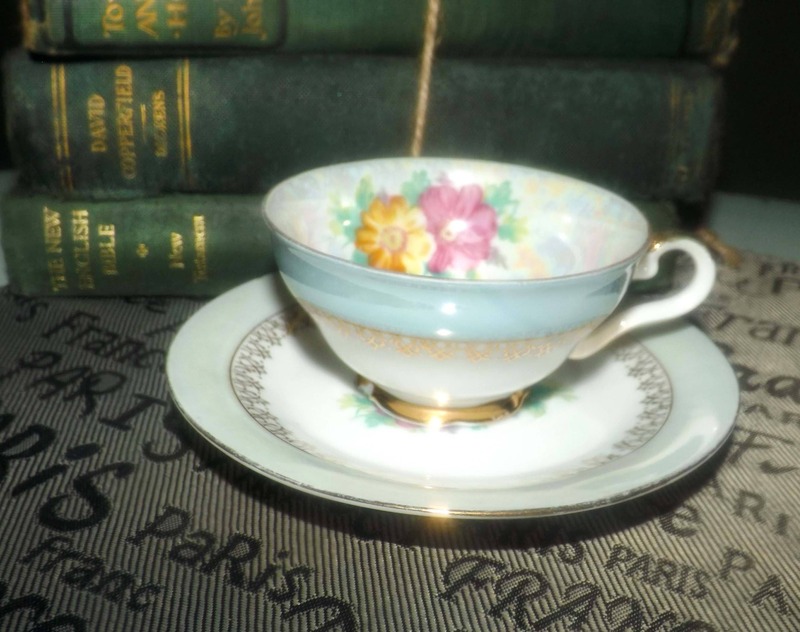 Early mid-century (1940s) hand-painted, iridescent lusterware demitasse tea set (cup w/saucer) made in Japan. Flowers, filigree. Flawed. 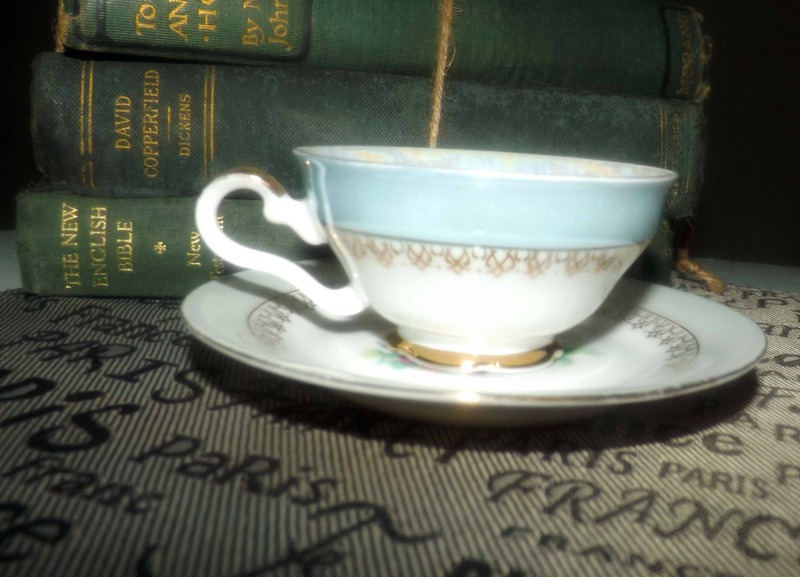 Early mid-century (1940s) hand-painted, iridescent pearlized lusterware | luster ware demitasse tea set (footed cup with matching saucer) made in Japan. 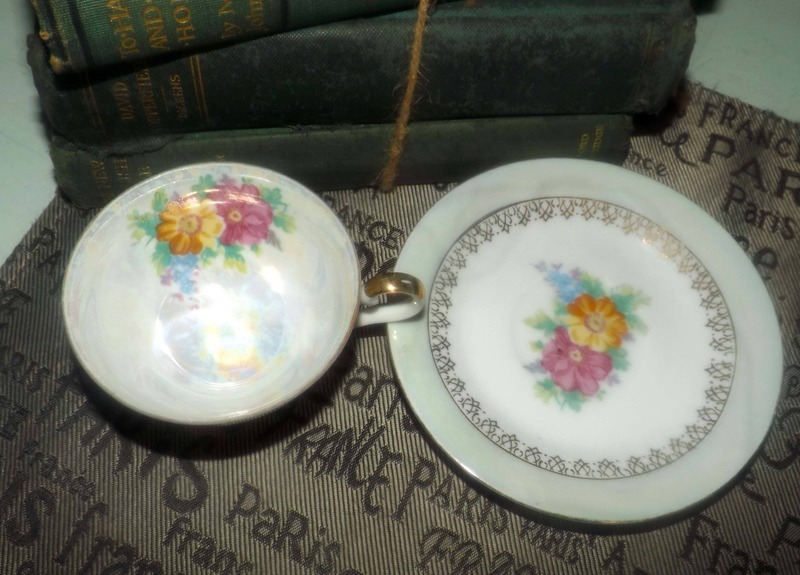 A beautiful set, perfect for enjoying espresso or cappuccino, this cup and saucer feature an iridescent pearlized luster finish, a broad blue band, an inset band of gold filigree and hand-painted flowers in the center of the saucer and on the inside cup bowl. In VERY GOOD! vintage condition, there is the WEE-est of WEE! 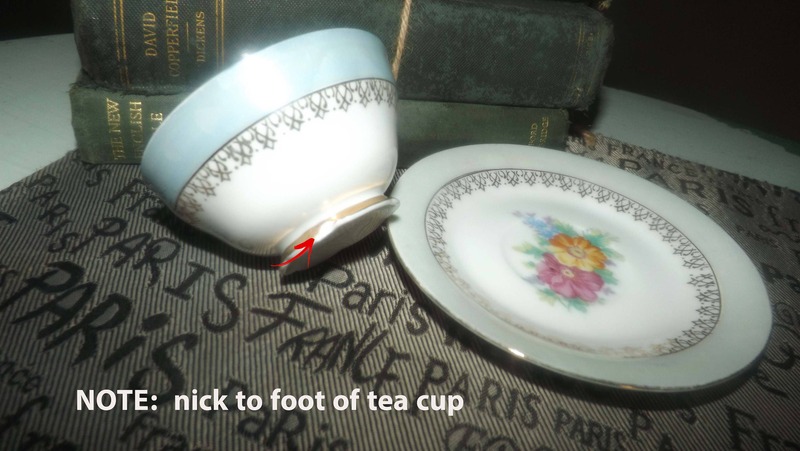 nicks to the foot of the teacup and some discoloration | fading to the blue band on the saucer (please refer to each of the posted photos for a complete visual of the pieces, specifically photos 4 and 5 at the red arrow to draw your attention to the affected area of the cup). Otherwise, there are with NO! other nicks, chips, or fleabites, NO! cracks, NO! crazing, NO! loss to the gold filigree band and NO! marks, stains, scratches or other signs of use or wear. The hand-painted florals are bright and vivid with NO! rub | wear or fading apparent. 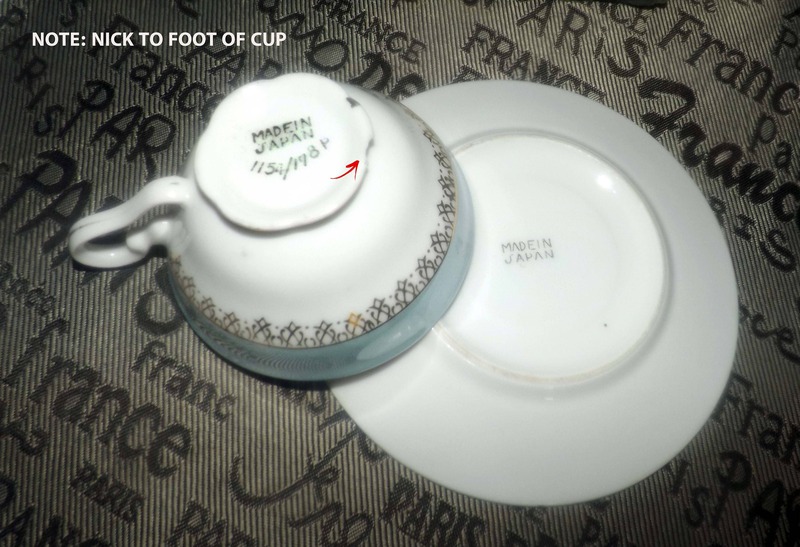 Approximate measurements: footed cup stands 2-3/4" with a 4" diameter bowl | matching saucer is 5-3/4" in diameter with a scalloped edge.